After making the semi-finals in the first season, the Chiefs got their season off a to a strong start. Dominant wins over Perth Ground Zero and the Brisbane Deceptors, in particular, have made them one of the favourites to take out the title this season. Following standout performances in week two and three, The Roar caught up with Josh to talk about his thoughts on the competition and what it means for Kiwi representation in the Australian fighting game community (FGC). 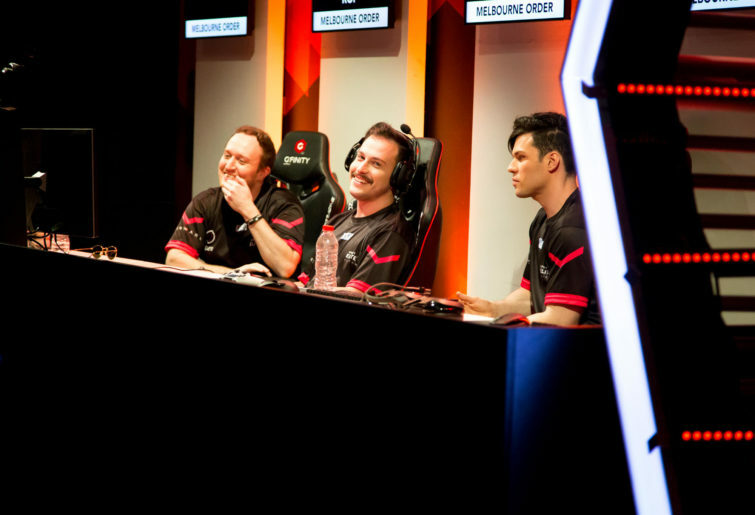 The Roar: As a newcomer to Gfinity season 2, how’s the atmosphere for you right now? DaBigChoppa: I’m kinda used to it but I’m just super happy and appreciative that I got the opportunity to come here. I tried last season to get in but, because of me not being consistent enough to play in the online league, it left me out of the draft – out of being chosen. So, I thought this season I’d actually give it my all and yeah. Finally I showed up and hopefully delivered the goods. The Roar: On that, you’ve made a huge impact in the two weeks you have been here. You’re 3-0 (individually). How is that a confidence boost for you as a newcomer? DaBigChoppa: I just need to check myself cause I like to blow up my head a bit, let the ego go out the window and just talk a lot of crap. But nah, I’m just glad I get to show what I can do you know, cause there’s a lot of Kiwi players. Like Ghost(chips), top New Zealand player, can show he can handle the big boys over here and in Oceania. But me being able to show what I can do and handle the big guns it’s really, how would I say … approving of what I’ve been doing so far. The Roar: Between you, Ghostchips and Camzace, the three of you have performed super well this season. How do you feel about New Zealand making their mark on the Australian FGC? DaBigChoppa: I already knew this was a long time coming. I’m not trying to be cocky you know? It’s like, we all put in the same amount of grind as these guys and we tried to show it last season when we went over to BAM (Battle Arena Melbourne) and such. But finally, Ghostchips can start travelling a lot more. He’s our top gun, he’s leading the charge and then Camzace picked a character that he found out was [right for] him. Menat is definitely his character. He’s able to show what he can do. When he was playing Cammy there’s a lot of habits that he couldn’t fix, random DP’s, things like that. Now he’s a killer. Yeah obviously me, I’ve been trying for ages and now I can finally show what’s up. The Roar: Among the other teams, is there any players that stand out to you as being huge competition? DaBigChoppa: I just want RoF to shut up. *laughs*. Like dude. I like the character though, he’s a character, but I just wanna put him in his place. He does a lot of stuff (in-game) that he gets away with and people are not blowing him up for it. I know if I get put up against him he’s gonna get shut down for all of his dumb stuff. I’m not talking **** – I’m just stating how I feel.